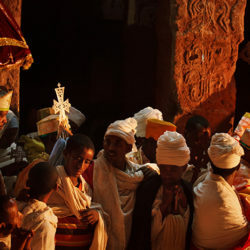 This unique flying expedition of northern Ethiopia offers 3 unique UNESCO World Heritage Sites; highlighting its 17 centuries of Christianity. 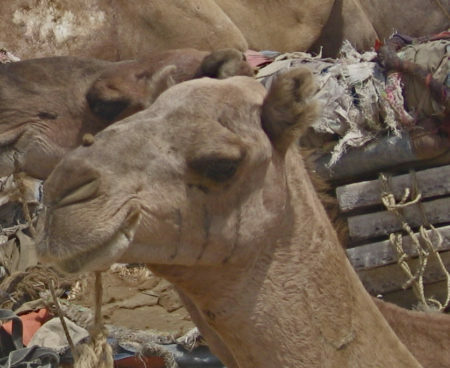 View the sites of the Queen of Sheba and learn about Ethiopia’s version of Jerusalem. 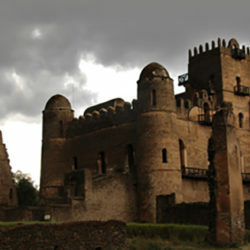 These sites are most unusual whether it be the “Petra of Africa” and the “Camelot of Ethiopia”. The destinations will amaze the consummate traveler. This is a country that has had numerous historical kingdoms and this program offers the convenience of flying on short flights to visit the sites, villages, while experiencing the culture and hospitality of the Ethiopian people. Arrive at Addis Ababa Bole International Airport, “Welcome to Ethiopia!” you will be welcomed and assisted by our representative. The journey starts with a tour of the capital city Addis Ababa, which literally means “New Flower”. Addis Ababa is Africa’s undisputed diplomatic capital. Headquarters of the African Union (AU) and the Economic Commission for Africa (ECA) are located in Addis. You will visit Holy Trinity Cathedral Church, the National museum, Entoto hills to get the birds eyes view of the city and St. Mary church and museum in a century long Church. Overnight: Hotel. In the morning fly to Bahar Dar. Transfer to hotel for check in to your room at Kuriftu Resort and Spa. Take a boat boat cruise over Lake Tana to visit the 14th century ancient island monasteries of Ura Kidane Mehret and Azwa Mayam. 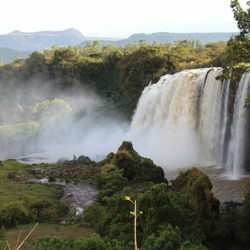 In the afternoon, you will drive 20 miles to visit the majestic Blue Nile Falls. 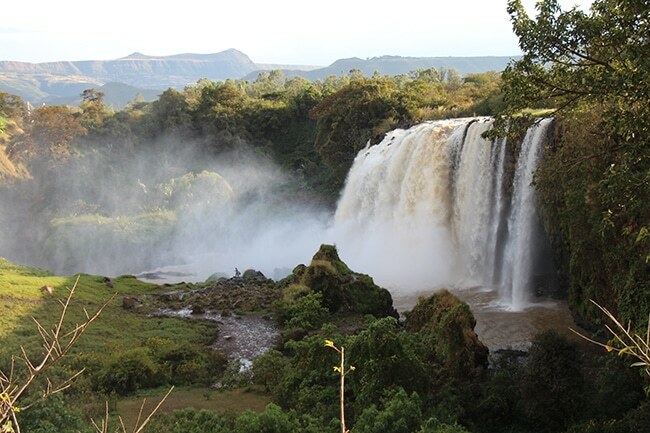 From the shores of Bahir Dar, we start out for Gondar driving through the undulating hills of the Ethiopian highlands, enjoying the scenic views. 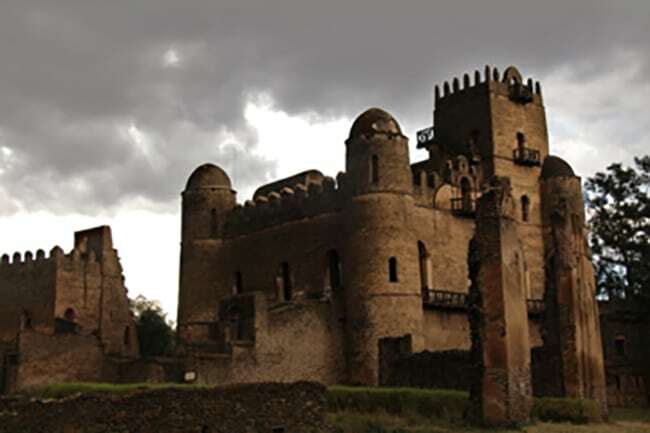 Gondar was the 17th Century capital of Ethiopia, with each successive emperor building his own castle. Your visit starts at the royal enclosure (UNESCO WHS) and King Fasiledes Bath. Lunch is at the hotel. In the afternoon visit the Debre Birhan Selassie Church (The light of Trinity church) with wonderful murals, Qusqam church and Mentwab palace. Fly to Lalibela, transfer to hotel 16 miles from the airport. Check-in hotel, start visiting the cluster of rock-hewn churches, churches including the famous church of St. George which is carved like a cross out of the red rock. Lunch at the Hotel. 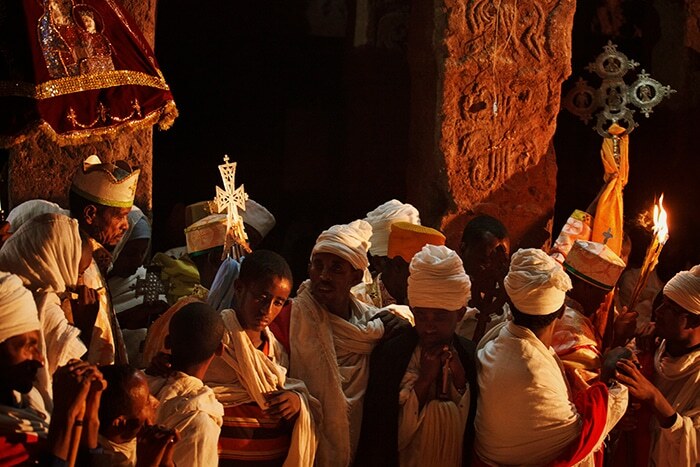 Continue your visit of churches of Lalibela, an UNESCO World Heritage site. 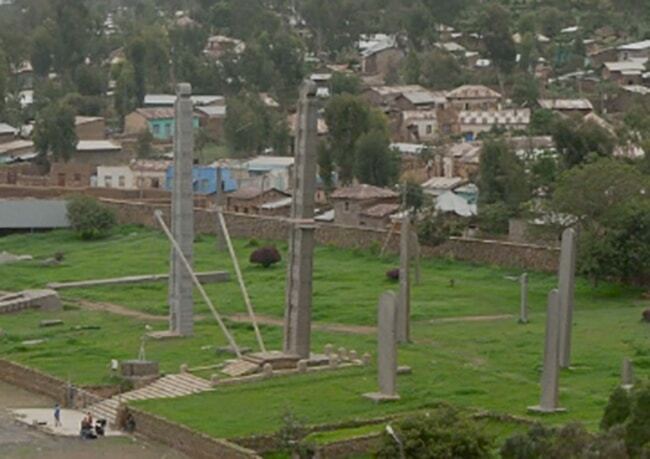 In the morning fly to Axum, a town with more than 2500 years of history. From the palace and tomb of King Kaleb (6th C, AD) we will visit the extraordinarily stellae and tomb of king Remhay (1st to 4th C, AD), followed by the a trip to the church of St Mary of Tsion, (17th C, AD the present church) and its guarded Arc of the Covenant. A short drive away, is the stone quarry where the stellae were carved from - several stellae lie half finished. From here we can visit the palace of the Queen of Sheba. In the morning fly back to Addis Ababa. This day you will enjoy shopping in the city. 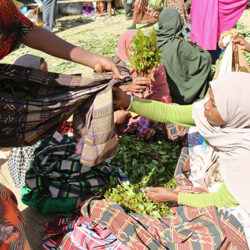 Visit Merkato, the largest marketplace in Africa. In the morning, an hour flight takes you to Dire Dawa. Upon your arrival, drive to Harar. 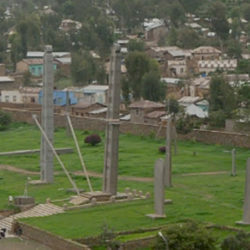 Harar is recognized as the fourth most holy Muslim city in the world, hosting pilgrims after Mecca, Medina and Jerusalem. The 16th century wall was built by Adere people to protect themselves from invaders. Harar is also home to Arthur Rimbuad, renowned French poet who worked and lived in Harar as a "gun-runner" during the 19th century. 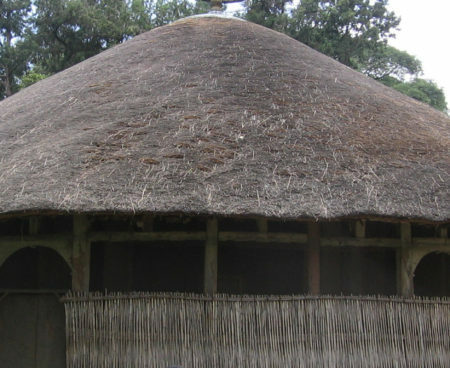 Visit the National and Harari museums; the house of Ras Mekonnen (father of Haile Selassie); and a traditional Harari home. 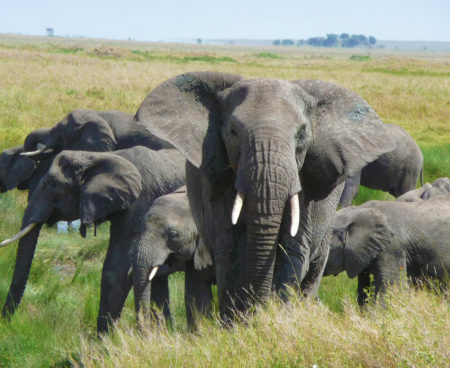 Take an excursion to the Babile Elephant Sanctuary via the "Valley of Marvels," a region of spectacular rock formations. Take a side trip to visit homes in the cliff-top village of Koremi. 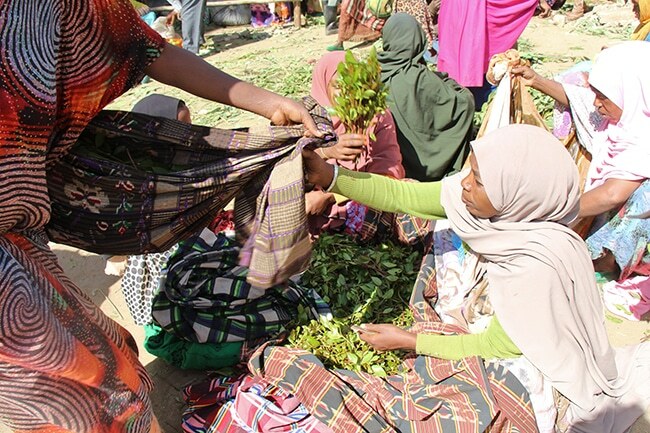 Visit the market in Hajifaj (Monday and Friday only.) 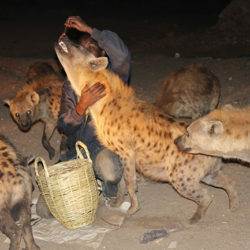 In the evening see the "Hyena Man" feeding the hyenas that gather nightly outside the town. Early In the morning you will drive back to Dire Dawa to catch your flight back to Addis Ababa. Upon your arrival, check in to your room. 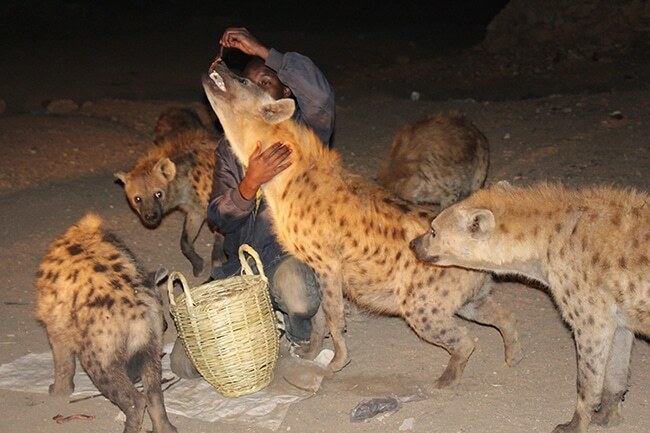 Later in the evening you will join one of the famous Ethiopia traditional Houses for dinner. Here you will also be able to enjoy Ethiopian traditional music and dance. Mike L.: I would recommend your company without hesitation.